Today SCHOTT Electronic Packaging has launched the TO56 PLUS® header with submount at the 2012 Optical Fiber Communication Conference (OFC/NFOEC) in Los Angeles. The TO56 PLUS glass-to-metal sealed packages are capable of handling up to 25 GB/s data transition speeds, making them the fastest Transistor Outline (TO) products available. With the introduction of TO56 PLUS, SCHOTT is uniquely offering customers the only complete solution for high frequency data communications. The unique TO56 PLUS header has been designed with a brazed submount that seamlessly connects the microstrip line and pin through a direct path, enabling users to ‘plug and play’ by removing the need for tricky DIY wirebonding. The design also helps to reduce signal loss and provides telecommunications companies with a greater choice in a limited market space. The new TO56 PLUS® glass-to-metal sealed packages are capable of handling up to 25 GB/s data transition speeds. While data communication networks are getting faster, this can only be passed on to the consumer if the component parts are designed to work at high frequencies. "The TO56 PLUS header with submount is great news for the industry because it enables faster than ever data transition speeds, which provides customers with the benefits of faster internet and application speeds. ", MI Quanlin, R&D Manager of Wuhan Telecommunication Devices Co. said. SCHOTT solutions are designed to meet the needs of companies of all sizes and solutions are highly customizable, ranging from high volume TO packages to customized microelectric packages. This represents SCHOTT’s ongoing commitment to developing optical and electrical systems that provide customers with greater flexibility and choice. SCHOTT has built a reputation as a reliable supplier of next generation designs and a company that listens to its customers. William Ong, Sales Director of SCHOTT Electronic Packaging Asia: "The TO56 PLUS with submount demonstrates that we are responding to feedback and developing products that offer increased flexibility, high quality and faster than ever operating speeds." Until now, telecommunications companies have had to pull together different component parts for their high speed applications, which we know has caused problems such as signal loss. "The introduction of the TO56 PLUS means that our customers can now purchase a complete suite of components from SCHOTT that has been designed to complement each other and produce optimum data transfer speeds," Tetsushi Morikawa, Research and Development Manager of SCHOTT Electronic Packaging Asia adds. The launch of TO56 PLUS underscores SCHOTT’s position to become a major player in the Edge Emitting Lasers market (DFB laser), which represents a 30% share of the wider Data and Telecommunications market. TO headers have been used in the market for several decades, due to their proven reliability and performance. The TO PLUS header line utilizes the same technology to deliver the same kind of reliability. About SCHOTT EP As a business unit of SCHOTT, Electronic Packaging is a leading manufacturer of housings and other components for the reliable, long-term protection for sensitive electronics. 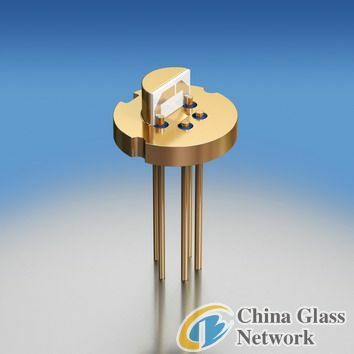 The core technologies are glass-to-metal and ceramic-to-metal sealing, thermal sensing components as well as a variety of cutting edge specialty glass competences. With 1,500 employees at five production locations and a number of competence centers in North America, Europe and Asia, local customer support and co-developments for individual packaging solutions are at the heart of the business, serving the world’s leading manufacturers in the automotive, data- and telecommunication, sensors and semiconductors, consumer electronics, dental care, home appliances, laser as well as security and tracking industries.